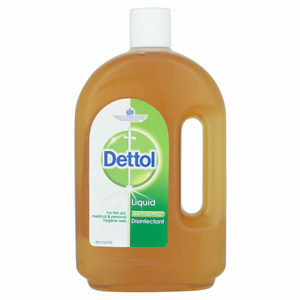 Dettol Liquid Antiseptic Disinfectant for first aid, medical and personal hygiene uses. Dettol Antiseptic Cream protects against infection and assists in natural healing. New Dettol anti-bacterial hand wash Nourish not only replenishes and cares for your skin, but kills 99.9% of bacteria. Dettol Healthy Touch Antibacterial Refresh Hand Wash with grapefruit extract kills 99.9% of bacteria on your hands with every wash.
Dettol Healthy Touch Soothe Hand Wash with lavender kills 99.9% of bacteria on your hands with every wash.
Dettol Original bar soap is a gentle soap with a fresh fragrance plus an antibacterial and moisturising action.